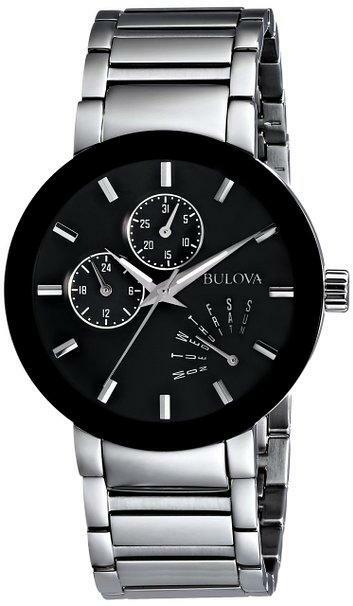 Bulova Mens 96B220 Classic Analog Display Japanese Quartz White Watch. 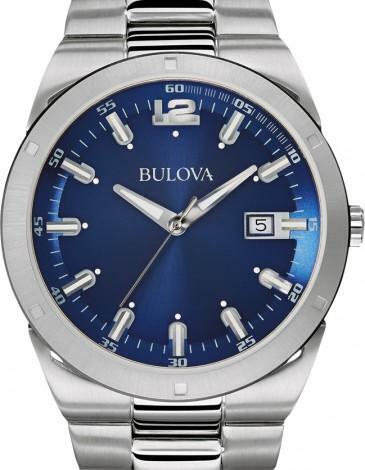 The blue bi-level sunray dial with silver-tone hour markers and hands makes this mens watch from the Classic collection by Bulova easy to read at a glance. 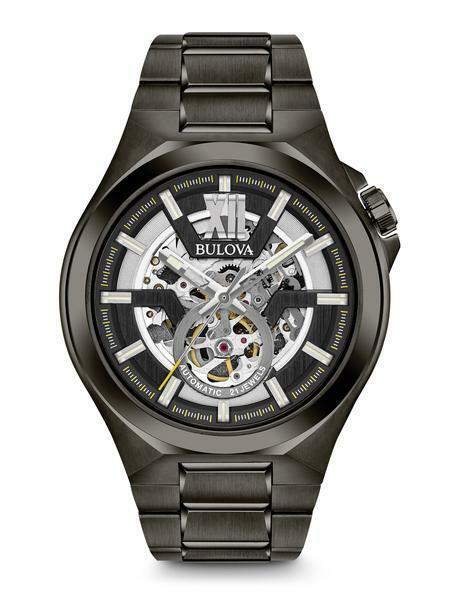 A domed mineral crystal tops the 43mm stainless steel case, amply protecting the quartz movement. 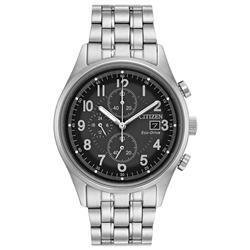 A fold-over clasp secures the stainless steel bracelet, and the mens watch is water-resistant to 50 meters. 3 year limited warranty.